I help experts and entrepreneurs to triple their sales and double their productivity and turn their sales team into a sales force. Episode 055 - How Does Ron Carucci Define Successful Leaders In the World? 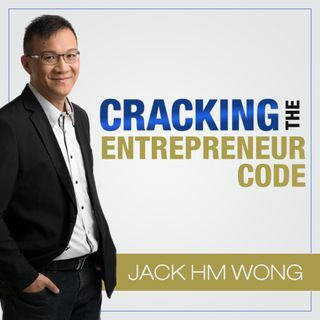 Welcome to Jack HM Wong's "Cracking the Entrepreneur Code" podcast. In each episode, Jack, the Amazon best-selling author of "Cracking the Entrepreneur Code - 7 Tips to Start Your Business Always Wanted", will share his insights on how he helped his clients to solve their problems and overcome challenges in ... See More their business and personal lives. You will hear a variety of topics on both business development (e.g. sales, marketing, branding, presentation, program design etc) and personal development (e.g. self-development, self-growth and managing your little voice in between your ears!). You will discover what it takes to become a great entrepreneur, a successful leader and also a world-class teacher in your niche; and how you can impact, inspire and influence your clients by helping them create life transformational changes.